Several local governments have started to include synthetic cannabinoids in their criminal justice drug monitoring programs in an effort to deter their use, after it became clear many people were using the drugs because they knew tests wouldn’t detect them, according to the Director of the University of Maryland’s Center for Substance Abuse Research (CESAR). Dr. 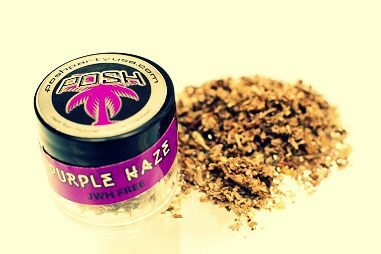 Wish says any program that conducts drug tests, including schools, workplaces, accident investigations, hospitals and treatment programs, are likely missing synthetic cannabinoid use in their populations, due to the high cost and complexity of testing for them. This leads to lost opportunities for diagnosis and intervention. Synthetic cannabinoids, also known as K2 or Spice, are a mixture of herbs, spices or shredded plant material that is typically sprayed with a synthetic compound. It is typically sold in small, silvery plastic bags or jars of dried leaves or small bottles filled with liquid and marketed as incense that can be smoked, inhaled or vaped. Short-term effects include increased agitation, pale skin, seizures, vomiting, profuse sweating, uncontrolled/spastic body movements, elevated blood pressure, racing heart rate and palpitations. In addition to physical signs of use, users may experience speech problems, severe paranoia, delusions and hallucinations. Jurisdictions around the United States are trying to keep up with the chemists by changing their laws. Instead of outlawing specific chemical structures, some governments are focusing on what the substance looks like and whether it is sold at a price that implies it is not just incense, as the package may state. “For instance, if a retail establishment is selling a product that attracts youths or appears to be intended for human consumption, the District of Columbia can close the store down, at least temporarily,” Dr. Wish noted. Baltimore recently implemented a similar law. CESAR runs the National Drug Early Warning System, funded by the National Institutes of Health/National Institute on Drug Abuse. The system monitors emerging trends to help health experts respond quickly to potential outbreaks of illicit drugs such as synthetic cannabinoids or heroin, and to monitor the development of new psychoactive substances. CESAR is also currently conducting the Community Drug Early Warning System (CDEWS) study for the Office of National Drug Control Policy that involves analyzing urine specimens collected by criminal justice drug testing programs across the country. Now, every time CESAR repeats the study, they consult with approximately a dozen chemists and toxicologists around the world to find out which latest metabolites they should be testing for. “Sometimes we need to wait for a new drug test to be available before we test for new drugs,” Dr. Wish noted. In the current CDEWS-3 study, CESAR is now testing for 28 synthetic cannabinoid metabolites. CESAR found the types of metabolites can vary considerably around the country. For example, synthetic cannabinoid-positive specimens for Tampa juveniles contained only one metabolite, while specimens from adults and juveniles in Washington, D.C. and adults in Denver had as many as 10 different metabolites. In addition, CESAR researchers found metabolites changed in Washington, D.C. over the course of just one year. This suggests the contents of products labeled as synthetic cannabinoids vary widely. “It’s almost impossible to keep up with the changing substances,” Dr. Wish observed. I totally agree with Ronny. That garbage should not even be called “synthetic marijuana” when it is NOT marijuana at all. Calling it that is misinformation and misleading. Marijuana is way safer than alcohol (for which tests can tell if one has been using currently and so addresses serious problems with driving and work). But MJ tests find people who have used in the last 30 days. It shouldn’t be a crime to use MJ, it’s a scam to support police and the rest of the industry of repression that began with alcohol prohibition (had to keep those federal agents employed). I have a wacky idea. Why not just let people use regular marijuana, if they choose to, so they don’t have to resort to more dangerous drugs? I know, wacky.